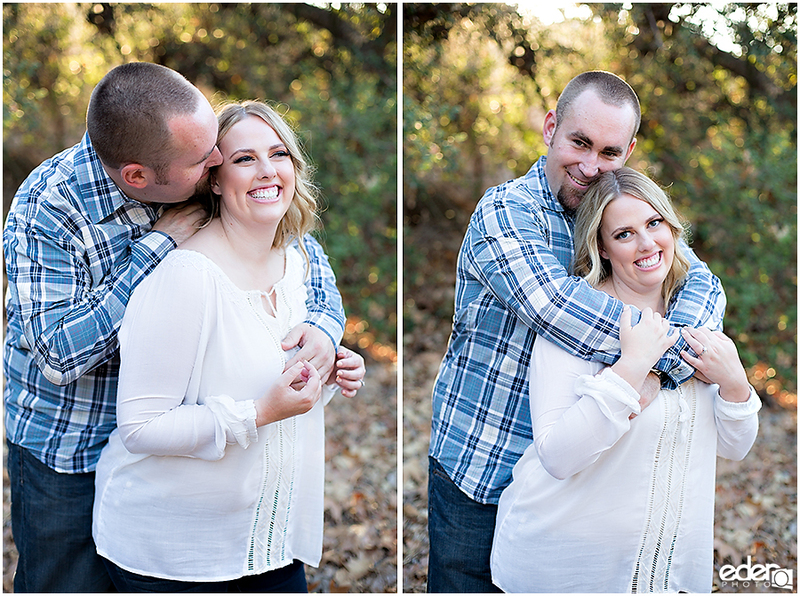 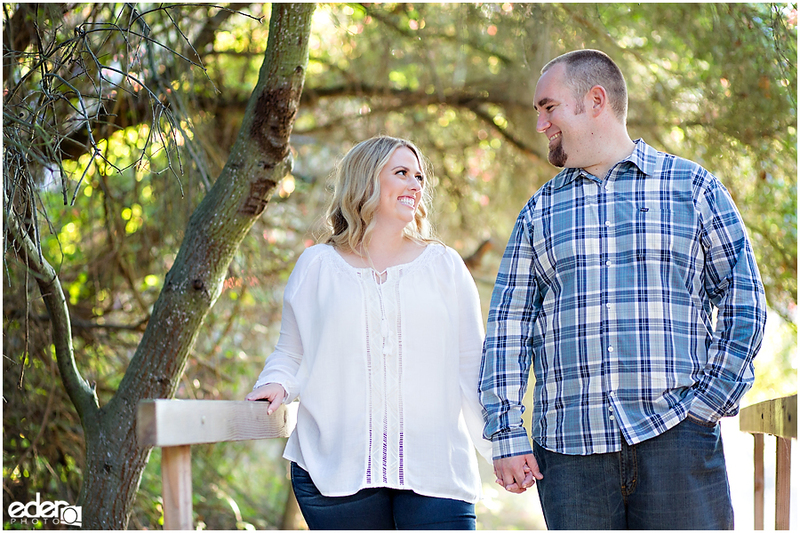 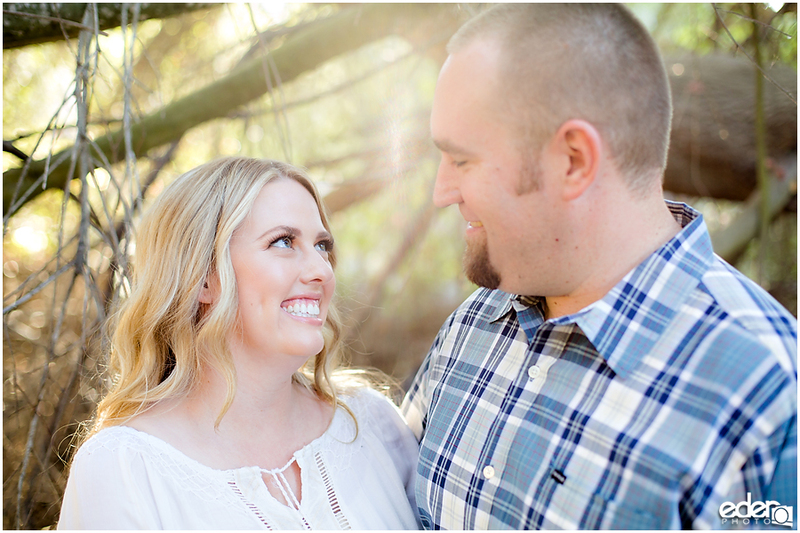 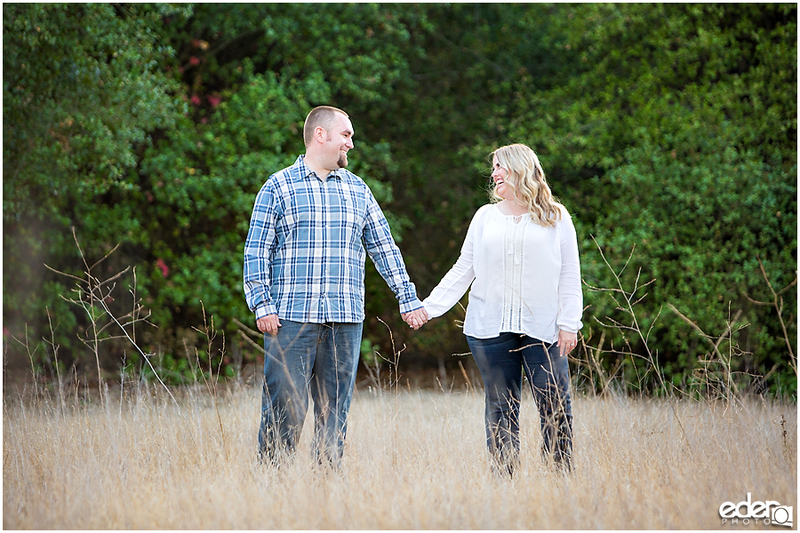 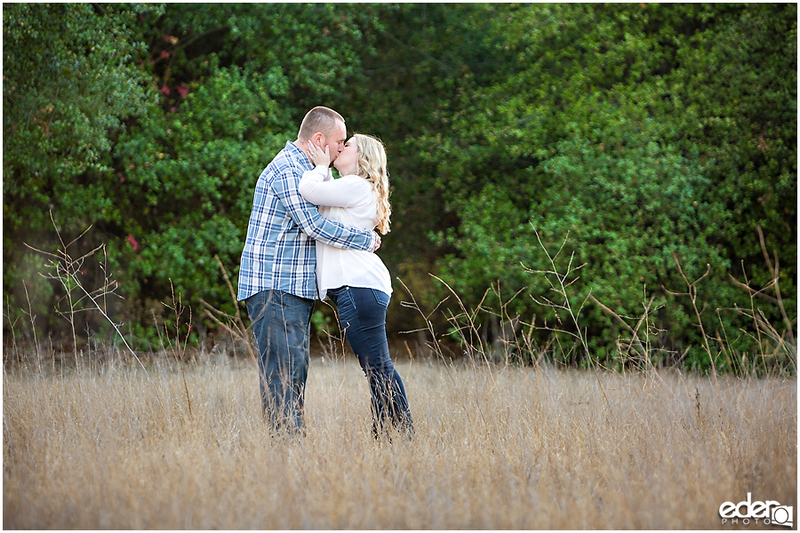 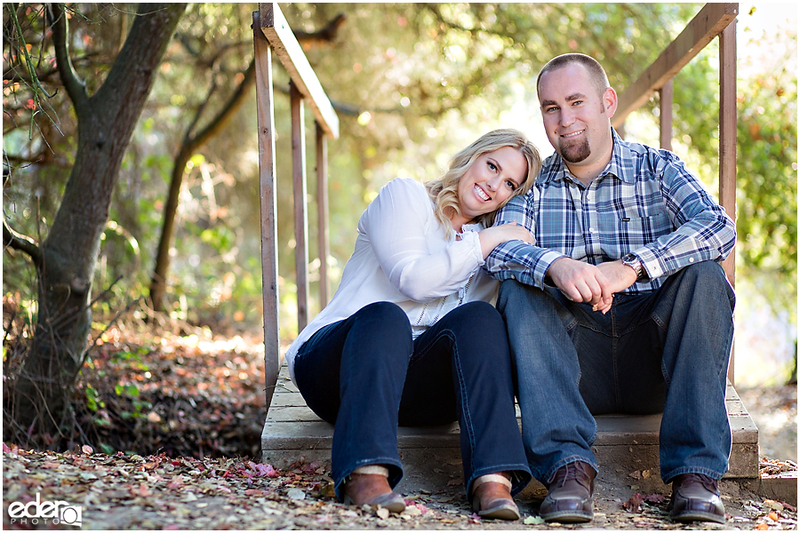 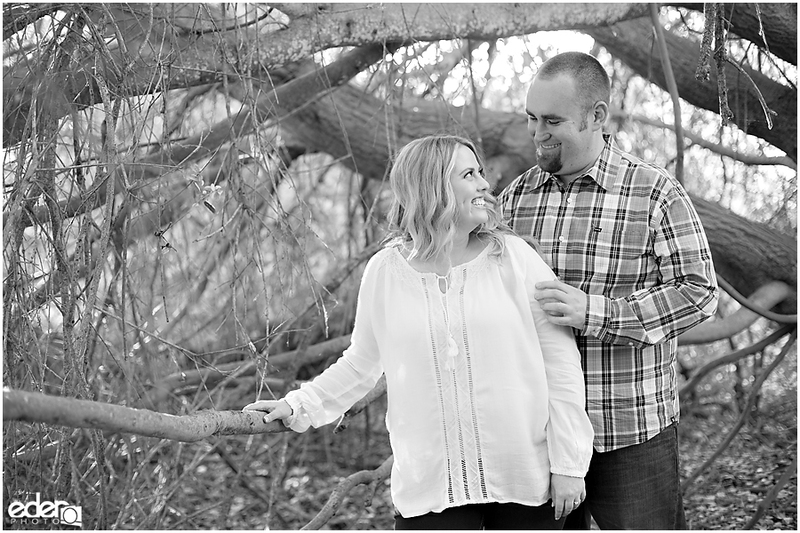 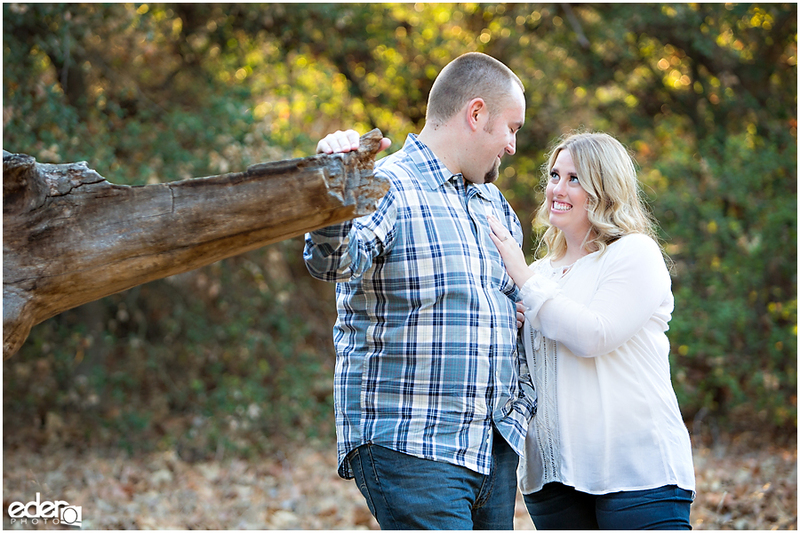 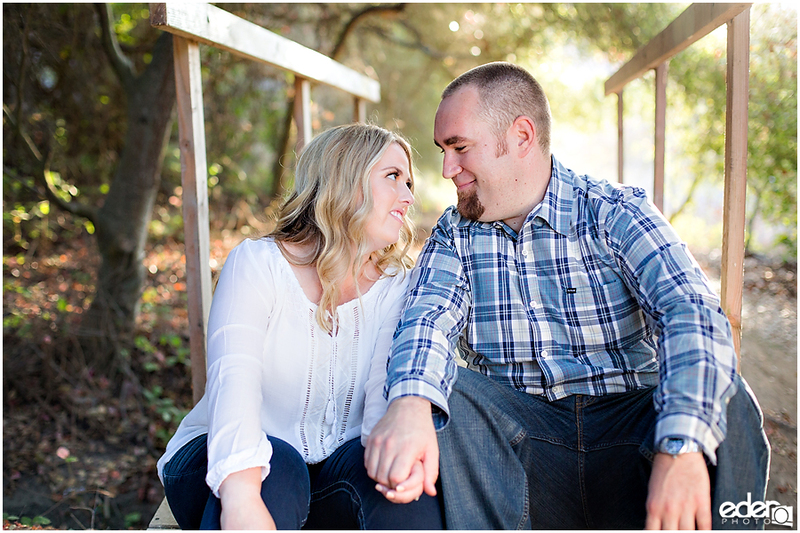 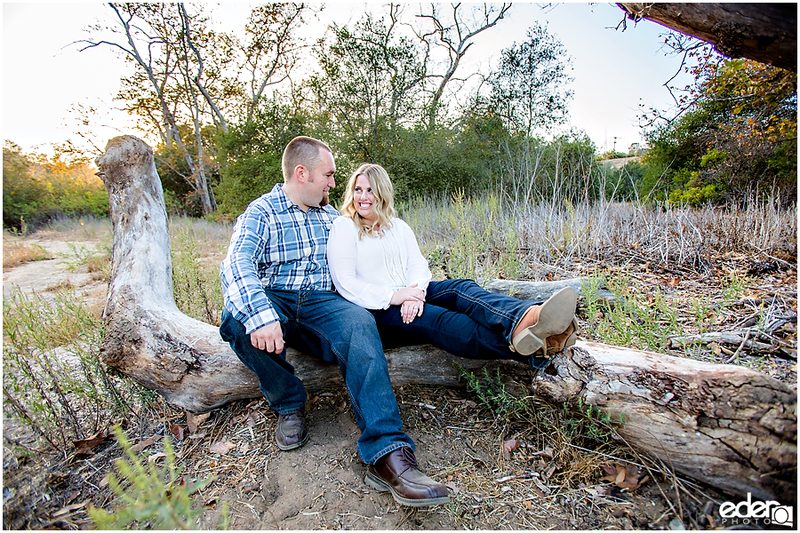 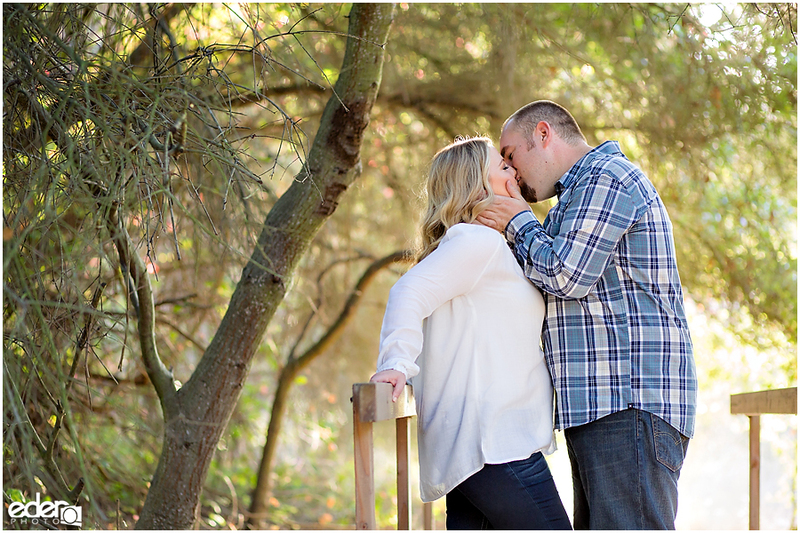 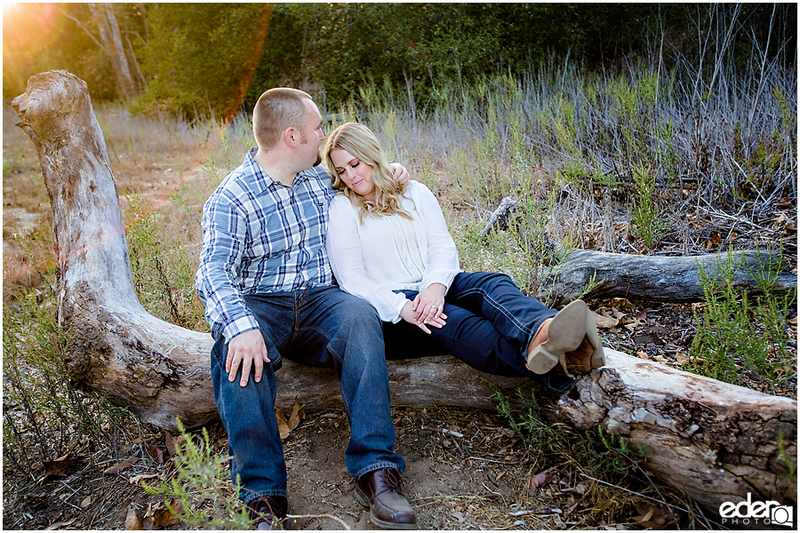 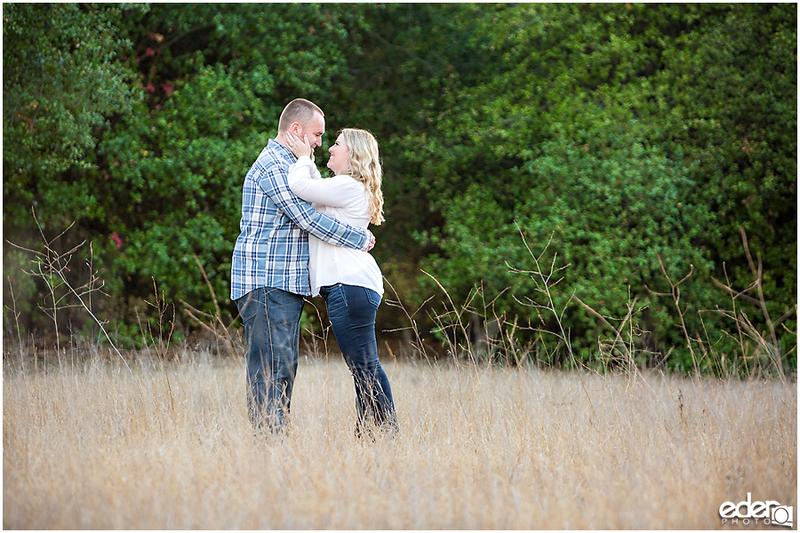 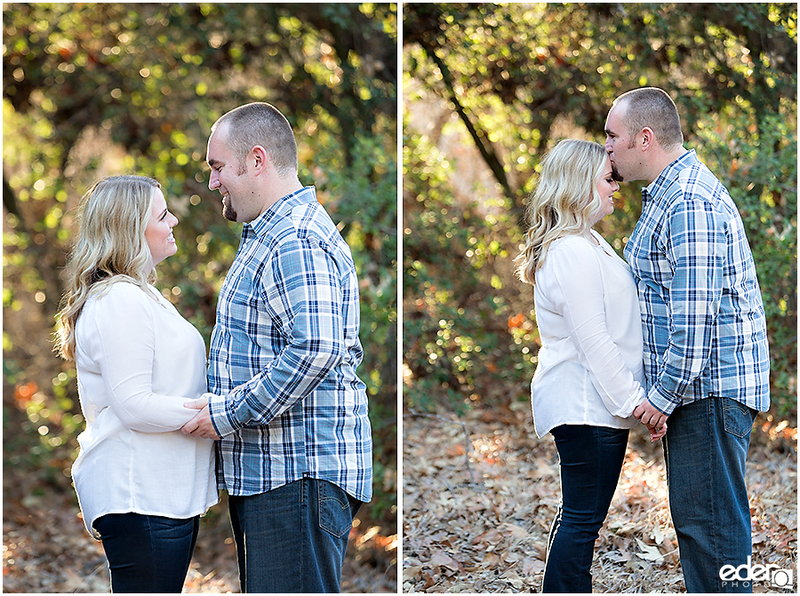 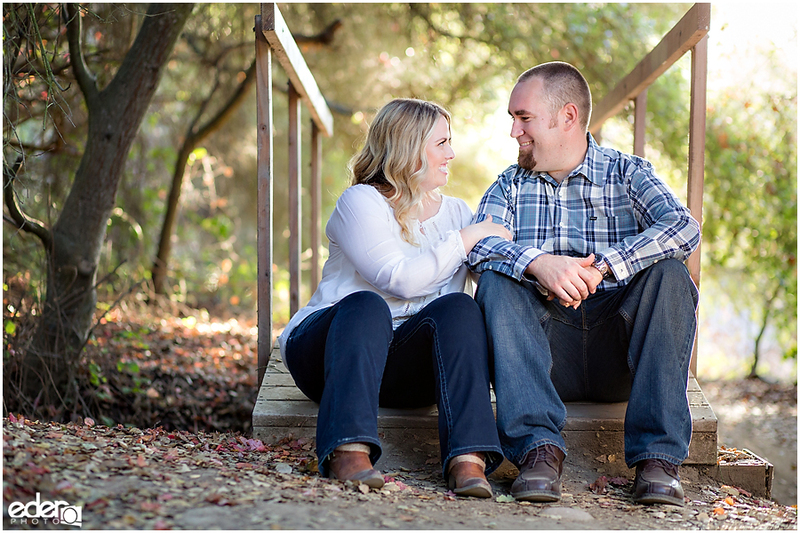 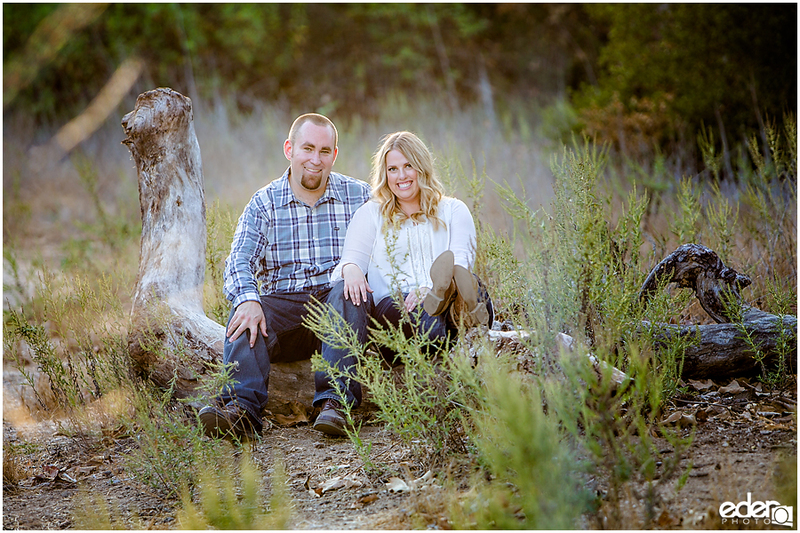 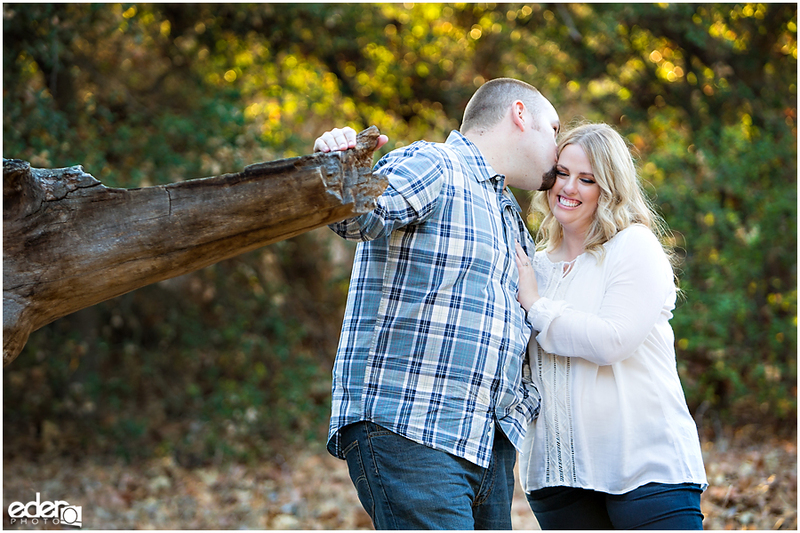 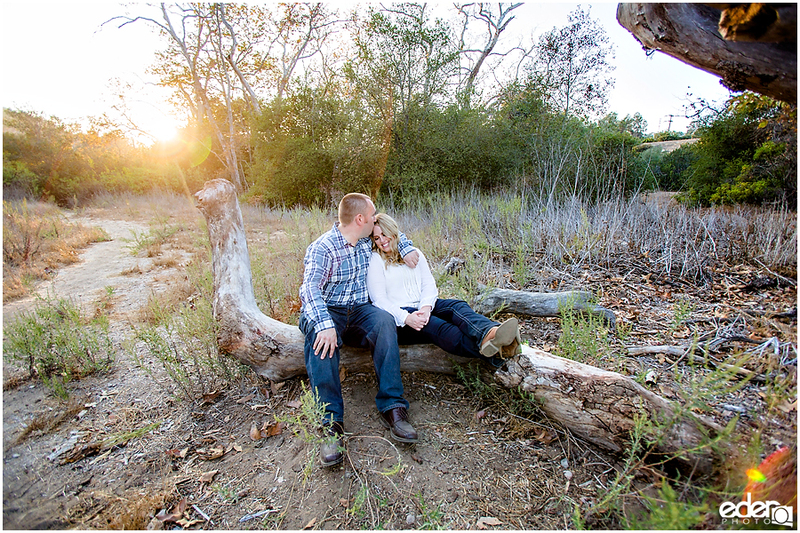 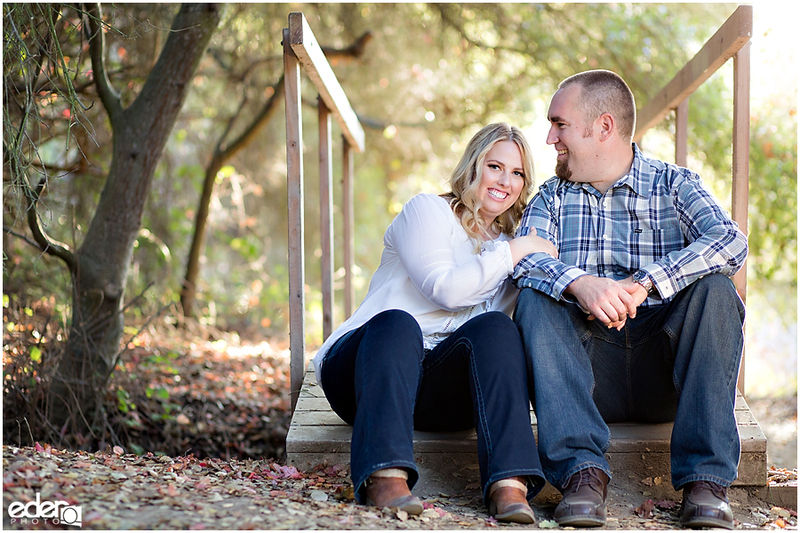 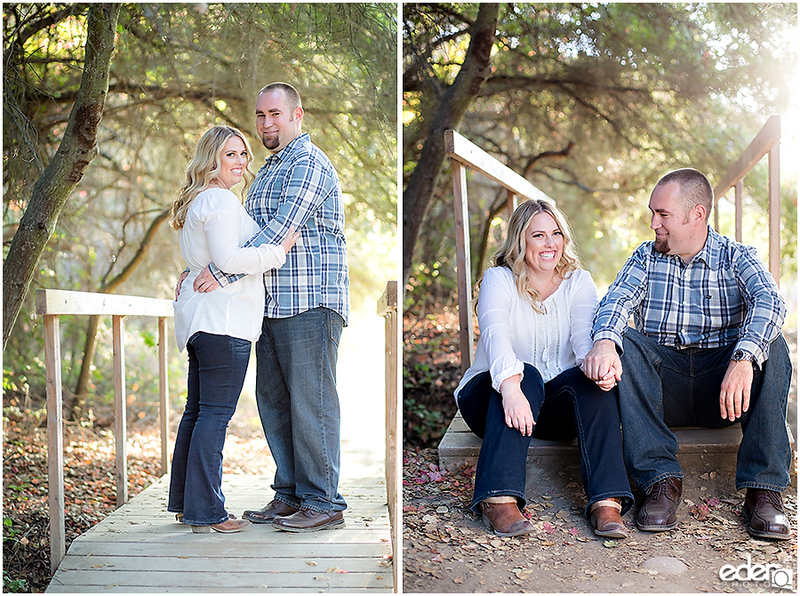 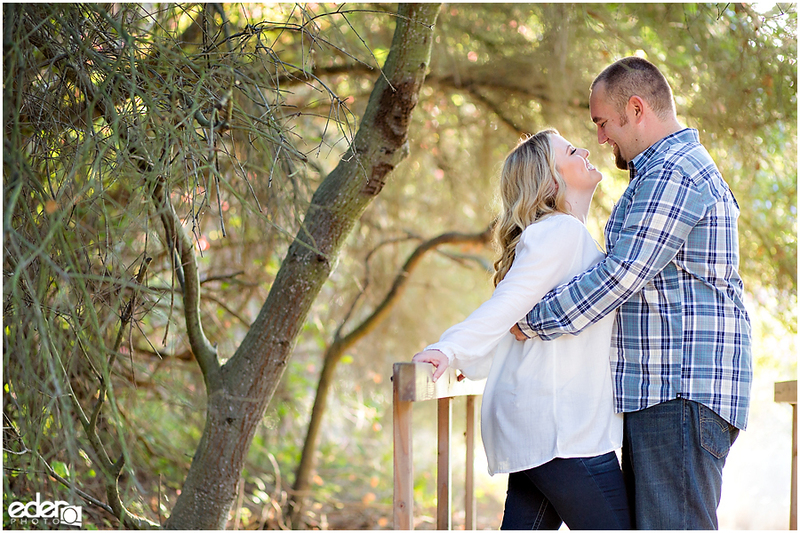 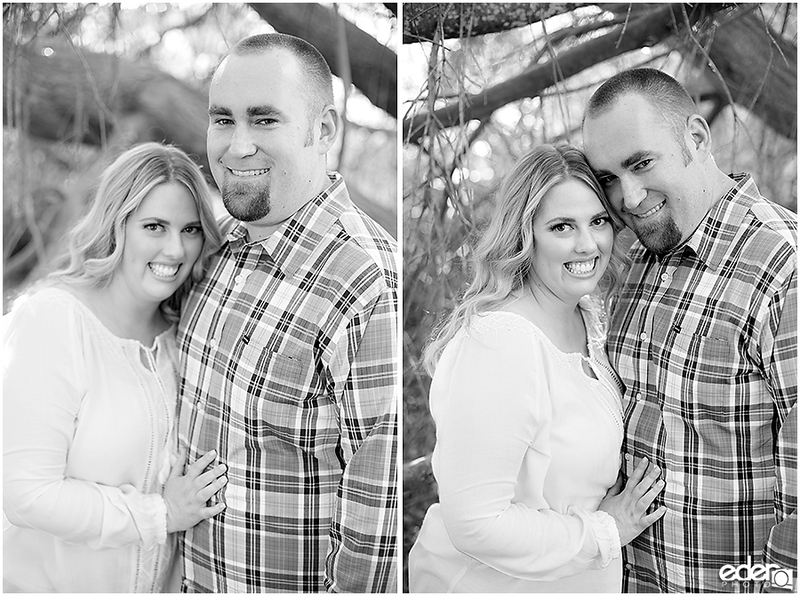 Erica and Ryan’s rustic engagement session was a lot of fun to capture. 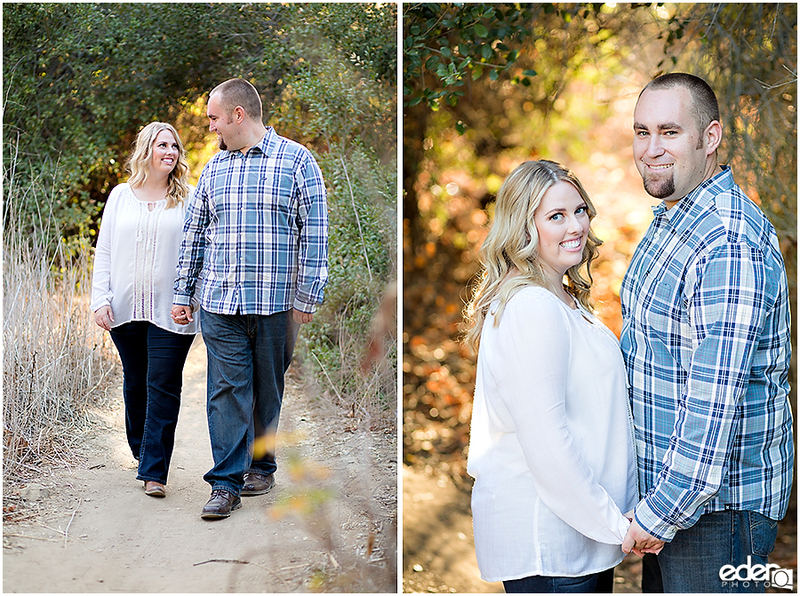 We spent an hour walking around Marian Bear Park and finding some neat backdrops. 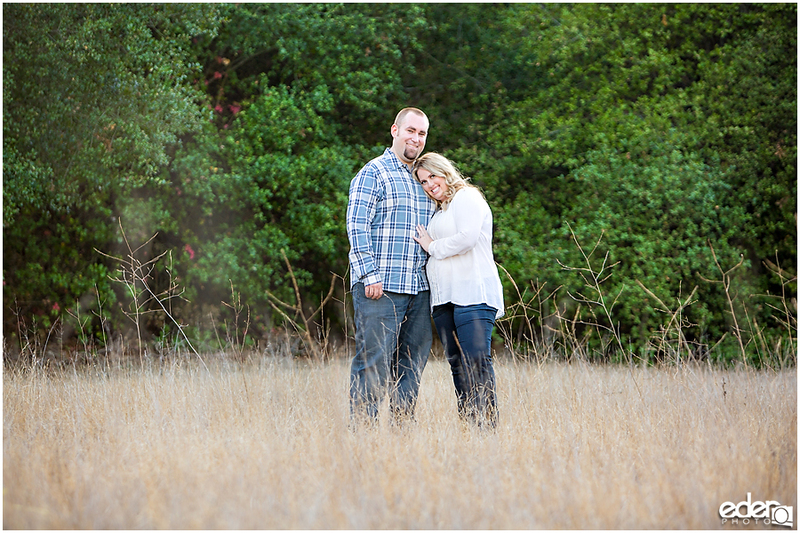 It’s a fantastic place for portraits. 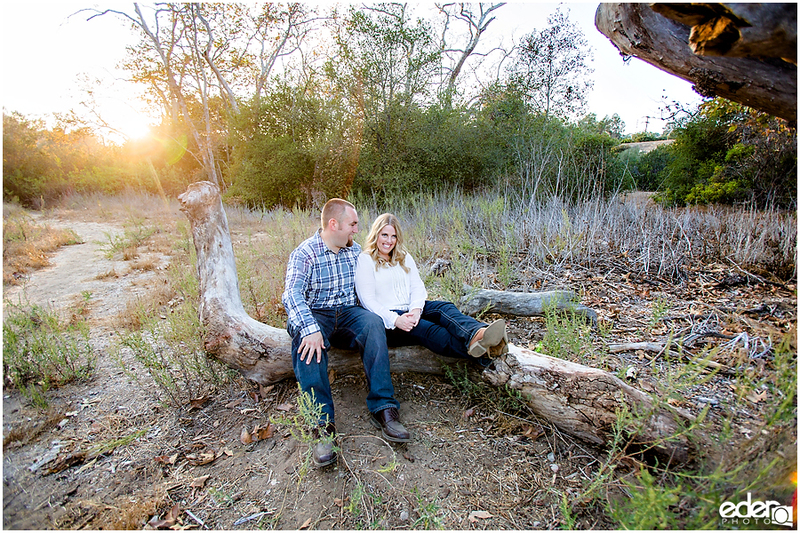 As the sun begins to get lower, it shines through the trees and bushes and creates a beautiful green backdrop. 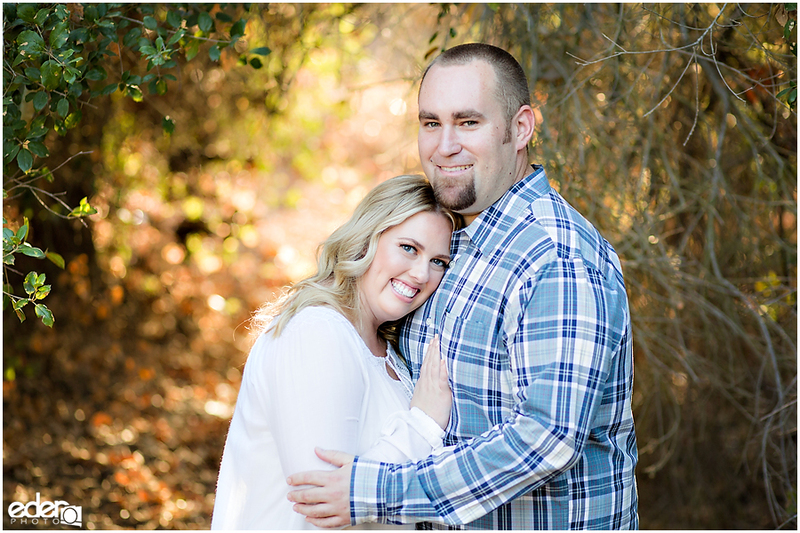 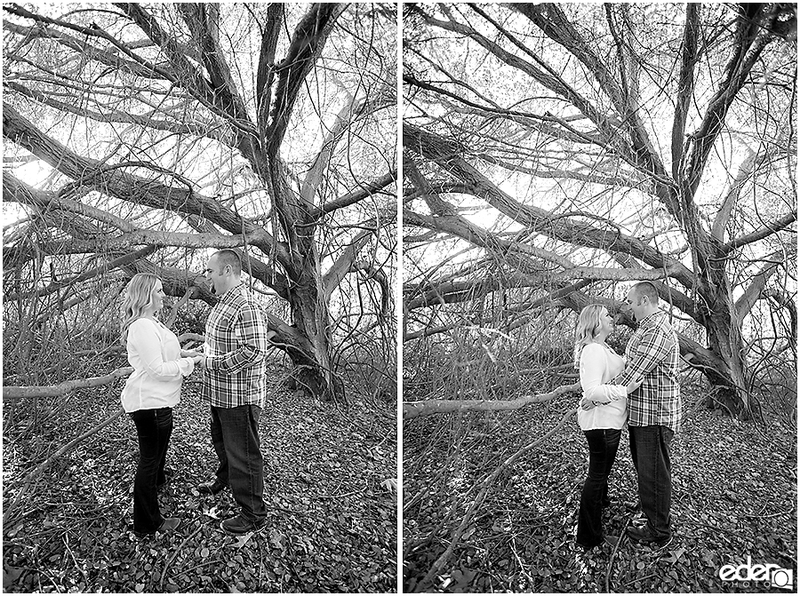 They were going to have me be their Temecula vineyard wedding photographer, so we wanted to create some images that would match up to the country feel of their barnyard wedding. 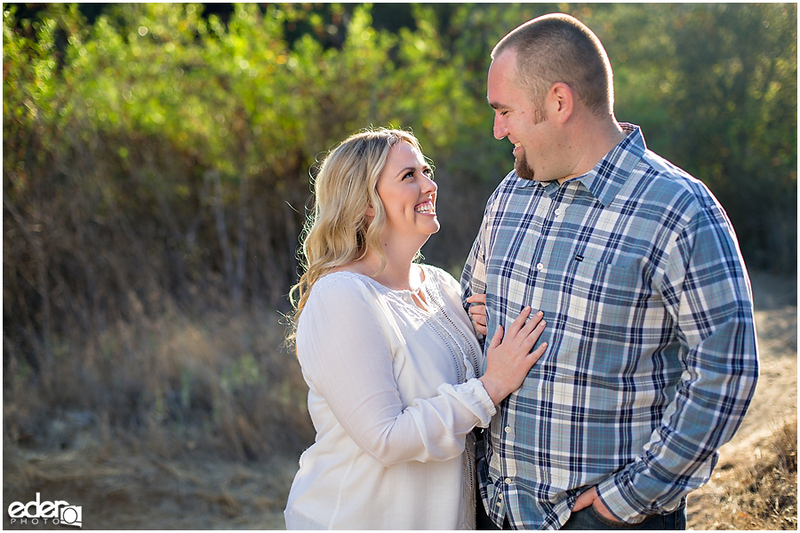 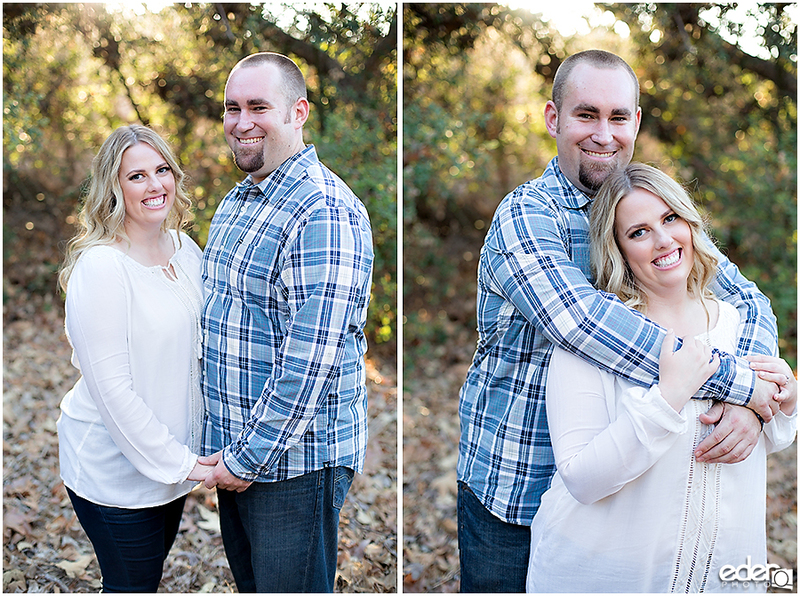 Erica and Ryan made it super easy to work with them and we got a lot of fun photos during their San Diego Engagement Session Photography.